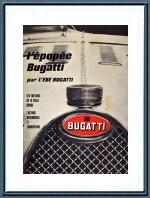 L'Epopee Bugatti - L'Ebe Bugatti - FRENCH - 1966. 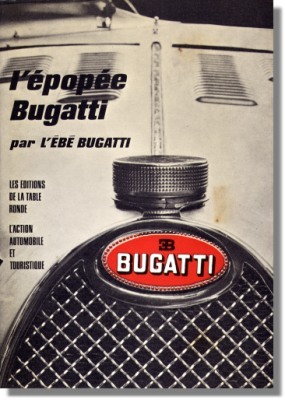 This history of the Bugatti family told by Ettore’s first daughter is particularly moving and interesting. She rectifies some errors raised in the works appeared since her father’s death and tells his life with a very human point of view although without indulgence. Gabriel Voisin's afterword, technical appendixes, everything is fascinating in this book. Published by Editions de la Table Ronde & l’Action Automobile et Touristique - Paris - august 1966.